The cottage in Grants Pass is a great stopover spot when we are returning from our coast travels. Daughter Deborah is living there now, so we camp in the MoHo when we are there. During the winter months we pull the MoHo inside the big RV shed for protection, and sometimes we decide to camp inside as well when we are there. Reminds me of those RV storage shed campsites that were developed in North Dakota for the oil workers. Although the shed has all around windows at the top, the interior is rather dim. Wouldn’t want to live there indefinitely, but it is great protection from weather and falling tree limbs in a windstorm. Yes, we do have some very large, very old white oak trees on the cottage property. There are always chores associated with staying at the cottage. Mo is still working on the bathroom drywall and taping project after we put in a new bathtub, and now there is finally a shower as well. Deb is quite happy with that project since she has had to settle for baths in the morning before work until now when she can jump in for a quick shower. This time of year there is always leaf burning, and leaf raking, but Deb has kept on top of most of the raking, so Mo had a big pile to burn this time. Of course, inversions are common in the Rogue Valley of Grants Pass, and Josephine County is judicious about allowing burn days. The first day was a no burn day, but on the second misty rainy morning the 6am phone call yielded good results. OK to burn! Funny thing, though, those big sloppy leaves didn’t want to burn, in spite of the big tarp that was protecting the pile. Mo burned most of the day and only managed about 1/3 of the pile. I raked a bit, and then retreated to the cozy house to finish the binding on some kids quilts I have been making for Christmas. The house was cozy because we finally managed to get the new gas stove heater installed and running. When the Avista guy came last month to light the pilot, he refused to approve the old stove, which had seen better days. It heated great all last winter, but was no longer safe. Time for a new stove. That whole process was a bit of a kerfuffle, because no one in several towns had any gas stoves in stock. After much research, we finally found a great little Williams stove with a bit of a fire view for several hundred dollars less than anything we could find in town. The town shops said they could special order something, but even so the big delay was finding someone to do the installation. Total Home Supply on the internet provided excellent service, with free shipping, and we had the stove at our door within two days. It took another month to get the installation completed, but now the cottage is again warm and cozy, and safe! Deborah hung in there as the month got colder, staying in front of her little electric heater most of the time. Now she has heat AND a shower. All that is needed is some kind of way to figure out the crazy electrical problems. Remember, this little cottage wasn’t really something that we needed. Our only wish was for a place to store the MoHo. When Mo was trying to trouble shoot the electrical situation in a house built in 1926, she shook her head and wondered whether it was worth it or not. Someday we will get it all figured out, and it is still great to have a warmer climate for storing the MoHo in the winter. No winterizing, and we can head north or south without worrying about deep snows in the Klamath Basin. That was the plan. The cottage is in a rural neighborhood, with rather narrow roads and deep ditches on either side of the pavement. The amount of passing traffic is a bit surprising, but I thought I would have enough room and warning to manage it for walking. What I didn’t expect was the number of big dogs, although why I wouldn’t expect that in a rural Oregon neighborhood, I have no idea. Big barking dogs, even behind fences, scare me. Adding to that fear is the sight of a big barking dog that has managed to get outside his fence. I have to remember to get some pepper spray. After one day of walking Summit Loop for a few miles, I decided I needed another alternative for my walking project when we are at the cottage. Enter Cathedral Hills County Park. Just a mile west of the cottage lies the hidden treasure of 400 acres of BLM protected wild land with more than 12 miles of trails for hiking, mountain biking and horseback riding. Douglas-fir and ponderosa pine dominate the forested portions of the park, with madrone, manzanita, and yes, poison oak on the warmer southern slopes. I drove to the Walker trail head, with a small parking lot for just a few cars and found it completely empty. I also found a nice notification of a black bear seen in the area just a few days prior to my visit. I wasn’t concerned, however, black bears usually stay well hidden and run when approached. I was worried that there might be loose dogs or crazy people wandering about, but turned out I had the entire trail to myself. It was a great hike, accompanied by a large flock of turkeys, I walked up the steep eastern flank of the hills toward the ridge, enjoying the switchbacks. Unlike Humbug Mountain, these switchbacks actually have level areas in addition to the steeper parts. Good knee resting sections for the trip back down! I was appreciative of the trail signs, and once on the ridge hiked south to get some amazing views of the Applegate Valley and the coast range mountains to the southwest. It is easy to forget just how mountainous this part of Oregon is when driving around in lower parts of the Rogue Valley and Grants Pass. I had the iPhone tracking my route, and as I continued on the ridge trail, was having a big of difficulty figuring out how that route fit with what I was seeing on the trail. Turns out I was completely turned around in my head, and thought I was looking west toward the valley, and instead, with closer inspection realized that I was looking directly at the terrace below where the cottage was barely visible toward the east. Sheesh. I don’t think you could actually get lost in the hills, but you can definitely get turned around and end up somewhere you might not want to be. I am so happy that there is this amazing resource for me to explore so close to home. I only walked a few miles, and later, looking at the park map, realized just how much there is left to discover through the seasons at this hidden gem. Our last adventure at the cottage was a bit less fun, but no less exciting. Deb had been hearing activity under the house, and there was a large excavated hole indicating that some creature really liked living there. She bought a trap and set it, with no results. However, a bigger trap did the trick, and when Mo and I got up on our last morning, we saw the cute little black and white visitor curled up in the back of the trap, watching us with her twinkling eyes. Skunks are really cute critters. Really. Deb had to go to work, and couldn’t wait around to deal with it. Oh dear. Too Bad. Mo and I said not to worry, we would handle it. We not only had the pickup, but had the trailer with us for hauling the lawn mower, so figured the skunk could be relocated without much damage. Mo threw a blue tarp over her, but she didn’t spray until Mo actually picked up the trap and put it in the far back part of the trailer, covering the tarp with the wheel chocks so the tarp wouldn’t blow away as we drove down the highway. Critter control had told Deborah that at least 20 miles away was required for release to keep the animals from returning. We settled for about 15 miles, where we found a nice area near the Merlin dump, with no houses around, lots of brush and a ravine with a small stream. Ms Skunk should have been delighted to jump out of her cage. Instead she hung back, and when Mo upended the trap, she managed to stick to the back of the cage and refused to come out! Finally with a bit of pushing and shaking and some more spraying (did you know a skunk can spray straight up?! ), she fell out of the trap and ambled off into the brush. Mission accomplished. I do hope she doesn’t try to find her way home. So far there has been no activity under the house, but we saved the stinky blue tarp just in case, and will know what to do next time. Even though Mo didn’t get sprayed directly, we had skunk smell everywhere, especially on her shoes and clothes and in the truck and in the baby car. That smell is just amazing. I found out that hydrogen peroxide and baking soda works better than tomato juice, but in the absence of a quart of peroxide around the house, I learned that ammonia works almost as well. Mo’s shoes are still on the porch here at home airing out, and the truck still smells faintly skunky. Ah well…at least we didn’t get hit directly and Deb’s cats didn’t get sprayed either. Life can be fun if you let it. I feel rather lucky to think that the most I might have to deal with tonight are a few snow flurries amidst the rain. I have been keeping up the walking plan, logging between 10,000 and 17,000 steps per day. I have walked in rain and wind but so far haven’t had to walk in snow. The best way to keep up a walking plan, however, is to spend a few days on the Oregon coast, driving short distances between campgrounds, setting up camp, and then exploring on foot. Often when we go to the coast, we have the kayaks, and spend much of our time finding fun places to launch the boats and explore by water. This time it was different, and I was delighted to enjoy the parks and trails at a slower pace, with a different perspective. Our goal after spending one night near Bandon at Bullards Beach State Park, was Humbug Mountain State Park, just 69 miles south on Highway 101. Between our park destinations, however, was the mystical, magical world of Cape Blanco, written about with such beauty by the Cape Blanco lighthouse queen, Nina. Ah yes, I know there are other kings and queens at that lighthouse, many of them friends of Nina and Paul, but in my opinion, Nina still reigns supreme when it comes to writing about Cape Blanco. I had never been out on the Cape, although Mo camped once at the state park campground and remembered most how very high above the ocean it is located. Not an easy walk to the beach, by any means. We drove the few miles from 101 toward the state park, and I must say, in spite of reading about it and seeing all the photos, I was surprised at the wild, remote beauty of Cape Blanco. With the lighthouse closed since the end of October, we knew there would be no access, no great lighthouse tours, but it was still worth the beautiful walk up the road from the gate to the lighthouse. Looking in the windows of the little gift shop I knew that I really wanted to come back again sometime during “the season”, and take the tour. The view from the headlands high over the ocean on all sides was magnificent. We hiked a bit of distance on a portion of the Oregon Coast Trail that is on the north side of the park road. Even with dark gray clouds and windy weather, the coastline was beautiful. Driving through the campground, I was surprised at the number of people tucked away into the very dark, very tree shrouded campsites. This is not a campground for someone who needs open skies and space. It is Northwest Forest rain country dark, and on this dark rainy day, I was glad I wasn’t camped there. Continuing south toward Port Orford and just six miles beyond the little town to Humbug Mountain State Park, we arrived at the campground early enough to take the trail that leads under the highway to the small but lovely beach. The tide was in, so we couldn’t walk far toward the north before we were stopped by big waves and rocks. The biggest surprise of all was 4 bars on the phone and a strong Verizon signal on the iPad. Then, wonder of wonders, we got not only the major satellite channels, but our local channels as well. We settled in comfortably to site 44 without incident and with no neighbors. Chilly night, good food, internet, and TV. Can’t beat that combination nestled up in a cozy motorhome on the Oregon Coast. l hoped the weather predictions for a sunny if chilly day to come were correct. Humbug Mountain looms above the campground, very nearly completely blocking the southern sky with its massive steep northern slope. We could see the mountain all the way from the Cape Blanco Lighthouse. Humbug Mountain was created about 130 million years ago, when ocean arc islands collided, uplifting primordial mountains composed of mostly sandstone. The arc islands then collided with the North American continent, uplifting Humbug Mountain in the process. At 1,756 feet above sea level, it is one of the highest mountains in the Oregon Coast Range to rise directly from the ocean. Our hike to the summit of Humbug Mountain began at sea level, and rose to that lofty elevation in just 3 miles in one direction and 2.5 miles in the other direction. The hike was 5.5 miles round trip, following the longer eastern route on the way up and the steeper and shorter western route on the way down. I was so happy for a gorgeous, sunny day, even though the shadows on the northern slope of the mountain were long and dark. We hiked through ancient Douglas-fir old growth forests, with huge trees that showed deep fire scars at the base of their trunks. The views from the trail were few and far between thanks to the very thick forests, but a couple of times we could see to the east over the Coast Range, and as we descended from the summit, there was one spot where the entire coast lay before us. With the curve north toward Port Orford, we could see Cape Blanco beyond in the distance, with the tiny lighthouse just visible in the brilliant sunlight. The view from the top of the mountain is rather nondescript, with trees blocking most of the view except for a brilliant patch of sun drenched ocean toward the south. We didn’t linger long at the summit, knowing we had that long downhill hike ahead of us. As most hikers know, going up takes energy, but can be managed. Going down is an entirely different story, and even with my hiking poles, I was extremely glad to see the end of that trail. It seemed like we were suspended high above the highway for a very long time, and the switchbacks just kept on going. Somehow this huge Douglas-fir fell UP the hill. Must have been one of those famous Oregon coast gales. Our planned treat for the evening after our great hike was a trip to Port Orford for some fish and chips at the Crazy Norwegian. Sadly, the highly rated little cafe was closed on Mondays and Tuesdays. With a recommendation from the quilt shop across the street, we drove a bit north to find supper at a place called Port and Starboard. It was a huge disappointment. There was only a single waitress trying to manage everything, so service was minimal, and worst of all, Mo’s clam chowder was lukewarm and tasted terrible. Mo ate about two bites and gave up. I had fish and chips that was pretty greasy, a bit like that cheap frozen stuff at the grocery store. Not what we had hoped for at all. View from the summit of Humbug Mountain. Brilliant sunshine on that ocean to the south. We drove home in the dark, glad that our camp wasn’t far away, that we had TV and heat and everything we needed right there. I know I can cook a great meal, but it is nice to go out now and then, but not so much when it is money thrown away. In fairness, the waitress did not charge us for the soup. It might be that it was just a bad night, based on the reviews of people who seem to love the place. The Humbug Mountain State Park was a lovely place to camp, with the surrounding mountains giving it a more wilderness feeling than many of the well groomed Oregon State parks we have visited. We had no reservation, but didn’t have any problem getting a decent site, although there are far more sites without hookups in this park than in many Oregon State parks. Before we left for our ill fated supper, Mo laid out the fire, ready to light when we returned. The stars were brilliant without a cloud anywhere and without any sign of fog or mist to dim their light. I loved the feeling of the mountains surrounding us. Some people complain of the road noise at this campground, but we only heard it early in the morning, and the nighttime was wonderfully quiet. We had wonderful campfires both nights we were at Humbug. With our coast trip coming to a close, we took the easy route south toward Gold Beach and Brookings, noting the big signs that proclaimed that the Harris Beach campground was definitely closed. Stopping for a bit of time at the Crissy Field Recreation Site, I walked south along the beach, wondering if those deep sand steps counted more than regular steps. After our hike on the previous day, I had insisted on walking somewhere flat, but then flat beaches aren’t any easier on the calves than steep mountains! We arrived at the cottage in Grants Pass, and the MoHo’s winter home by early afternoon, ready for a few days working on little projects and visiting with Deborah. We celebrated Veteran’s Day with a free dinner for Mo at Applebee’s Restaurant in Grants Pass, thanks to their special giveaway for veterans. Dinner was great, especially that Perfect Marguerita that is one of my favorite things at Applebee’s. It was a great way to end our little coastal vacation. I have been awake for far too long, deciding that since I couldn’t seem to sleep, I might as well process photos. Great way to spend the early dark hours of the day. One thing about camping on the coast is the constant moisture. Even on sunny days, things don’t dry out much, and at the moment, almost all the clothes that I brought on this trip are in some stage of dampness, including night clothes. Geez. Better to just get up and sit by the cozy space heater with my one completely dry tee shirt and jammie bottoms on and dry out a bit. After three lovely days at Sunset Bay, it was time to move south toward our next destination along the coast. With only 69 miles to go all the way to Humbug Mountain, we decided instead to drive the short 22 miles to Bullards Beach and spend a night in that very large park, with all the amenities. Bullards Beach State Park not only has a dump station, which we used on the way in, it has a good Verizon and ATT signal, so we had both internet on the MiFi and iPad and telephone on the ATT iPhone. 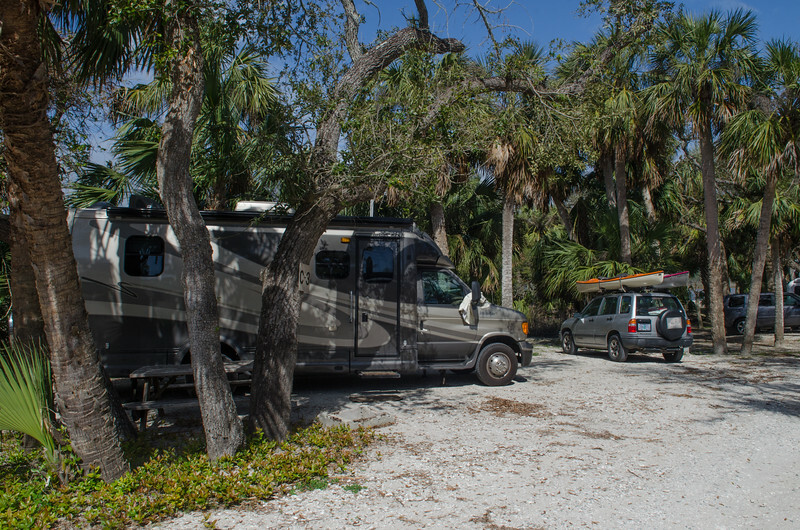 Like most RV travelers, we have found that having both service providers seems to be the best way to handle the varying availability of different signals. I have been in locations where the ATT phone worked great and there wasn’t a Verizon bar to be found, and the other way around. Seems to be a regional thing, and those coverage maps aren’t necessarily that accurate. Bullards Beach is a huge state park, with several sites saved for first come first served, but we were surprised when we arrived at 11AM to see how many of those sites were already filled. There is a check-in time of 1PM, but it seems that no one cared that we arrived early. This time of year there are camp hosts, but no one manning the entry check-in booths. Park your rig and do a self check in within half an hour. Another reason for staying at Bullards Beach was to give ourselves plenty of time to wander off to Bandon without having to continue south on the highway. We could play at leisure, and have plenty of time in the later afternoon for a long walk to the beach. And I do mean long. It is 1.25 miles to the beach from the campground along the new boardwalk trail that traverses the wet lowlands between the campground and the beach dunes. It is a bit longer if you take the easier paved and not sandy trail to the beach parking area south of the campground. Once settled in, on the C loop space 55, first on the agenda was traveling the short distance south to Bandon to find a grocery store. Stocking up on a very few necessities didn’t take long. The only large grocery in Bandon is Ray’s, a local chain, with the nearest Safeway showing up many miles east at Coquille. Ambling down the highway south toward the older part of town, we first encountered Face Rock Creamery. If you click on the previous link, you can read the interesting story of how Bandon brought this into being. In the location of the old Bandon Cheese Factory, bought out by Tillamook and then destroyed, Face Rock Creamery has a gorgeous new facility where you can watch cheese making and sample their wares. They specialize in flavored cheddars, with one version of an aged cheddar, a few kinds of pepper jack and cheese curds, which seem to be very popular. We took advantage of the amazing ice cream, requesting the single scoop child’s version, and getting something that was very close to two big scoops of ice cream for a buck fifty each. Geez. Taking our treats upstairs to the comfy wooden tables overlooking the cheesemaking factory, we watched not only the cheese process, but the many people coming into the store buying cheese and gourmet goodies. I would say this has been great for Bandon. Just next door to the cheese factory is a nice quilt shop, and I spent some time perusing the goodies but managed to get out of there with nothing more than a great pattern for another project to add to my list of todo’s. Parking downtown in the Old Town area, we wandered the streets where I had an eagle eye peeled for the Coastal Mist Chocolate Boutique. A year ago, when visiting this town with friends Maryruth and Gerald we experienced their “drinking chocolate” and I didn’t want to miss it this time. I love being in this little shop, all decorated with chocolate colors and very modern and trendy. I noticed as we sat in the comfy sofas that it was almost entirely women entering the shop and every single one of them left with something yummy. We continued to explore the little shops, with art galleries, funky souvenir shops, coffee shops and clothiers until I was tired of all the slow walking and we both decided it was time to get back to the campground and walk the beach. Somehow slow walking wears me out much more than walking out in a real stride. Just before we got back to the car, however, we found the most amazing museum. The Washed Ashore project is one of the most creative and impressive solutions to beach trash that I have seen. Angela Pozzi, an artist and educator at Washed Ashore had said "It’s a project to show the everyday person how much garbage is coming up on the beaches," she says. "I aim to grab people with the power of the sculptures, which are beautiful and then become horrifying." We wandered the museum, mesmerized by the gorgeous colors and beautiful sculptures that were created entirely from beach garbage. In addition to the work in the museum, there were extensive photo exhibits showing the scope of the project. I know from personal experience that many of our beaches are horribly littered with trash, and I know there are efforts to encourage people to carry a trash bag and attempt to clean up what they see. This, however, is a huge effort that might actually make a difference. Plastic. It is all about plastic. I know I have a life filled with plastic as we all do, and while I have been aware of the issues to some extent, seeing this project made it much more real to me. We are killing our oceans and our animals with plastic. It is sobering. I hope to pay more attention in the future and do my part. After visiting the museum, we traveled the short distance south of town along the coast and found a public beach on the South Jetty just across the the Coquille Lighthouse. With the huge recent rain storm and low tide, the beach was thick with people carrying buckets picking up something. Mo said, “They are getting something, we had better go check it out”. Spending a bit of time wandering and picking up stones, we found some of the famous Oregon beach agates to add to our rock stash. It was nice to see dogs playing on the beach, and of course it brought back sweet memories of the many beaches we have shared with Abby. This trip has been a bit different. No dog, no kitty, and in case you noticed, no bikes and no kayaks. Even without the extra toys along, we have certainly managed to stay busy and active. Back to our campsite, we had enough time for a late afternoon walk to the beach. As I mentioned previously, it is more than a mile to the beach from the campsite, and even with the new boardwalk, much of the trail is deep sand. There is a large horse camp near the beach, and after walking along the surf for a distance, we found that roadway leading south, with hopes that we could walk back via the paved road. The route home was easier but much longer, and with all that sand walking, I felt like I had trudged many more miles than the 3.5 or so that showed up on the GPS! The next morning, before we continued south toward Cape Blanco, I walked again to the beach, this time avoiding the sandy trails and taking the nice partly paved bike trail leading from the campground to the beach. It is a simple 2.5 mile round trip, and I learned something new about the beach grasses along the Oregon Coast. Planted in the 30’s in an attempt to control the constant blowing sand, European beach grass is terribly invasive and has taken over most of the dune landscapes on the coast. Unlike the native sea oats on the southeast beaches, this grass isn’t native and isn’t protected, but it still does the trick of stabilizing the dunes. Like rabbits in Australia, we sometimes change our environment without understanding the full extent of what we are changing. Unlike the rabbits, maybe it isn’t always a negative thing. Tomorrow we move south again toward Cape Blanco and the lighthouse, Port Orford, and Humbug Mountain State Park.